Styling the seasons make light. My it's been a manic couple of months. I'm loving finally slowing down, it actually feels like I'm in tune with the seasons for once. I've missed the last two styling the seasons posts, but there was no way I was missing this one! I love flat lay photography! This month the lovely duo that host sts- Katy of Apartment Apothecary and Charlotte of Lotts and lots have teamed up with the uber talented +Emily Quinton of Makelight, and set this months challenge for #STSxMakelight with an amazing prize to win a place on Emily's workshop.... How exciting!!! This month saw me venture into the garden to forage for seasonal delights. 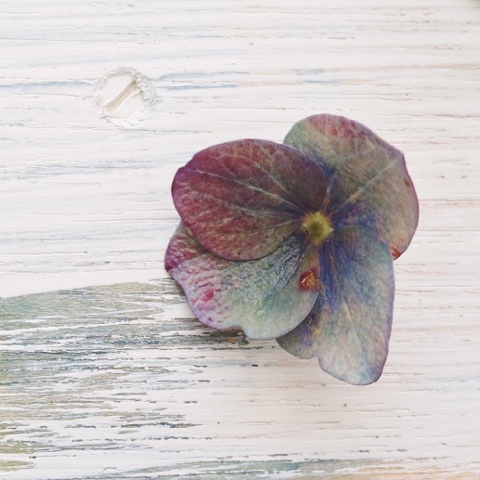 My hydrangeas are the most amazing colour at the moment! One of my favourite flowers! 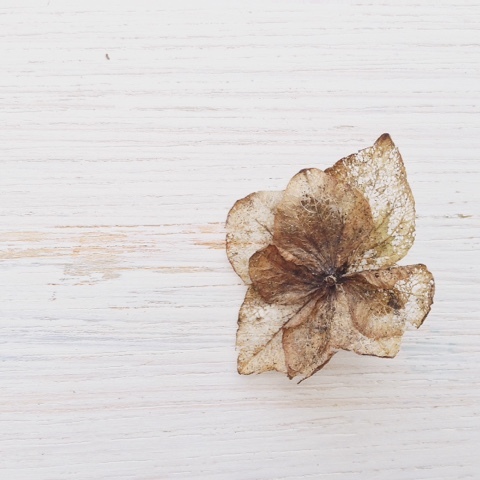 I even love them when they go beyond dry and you end up with a delicate skeleton, so textural. 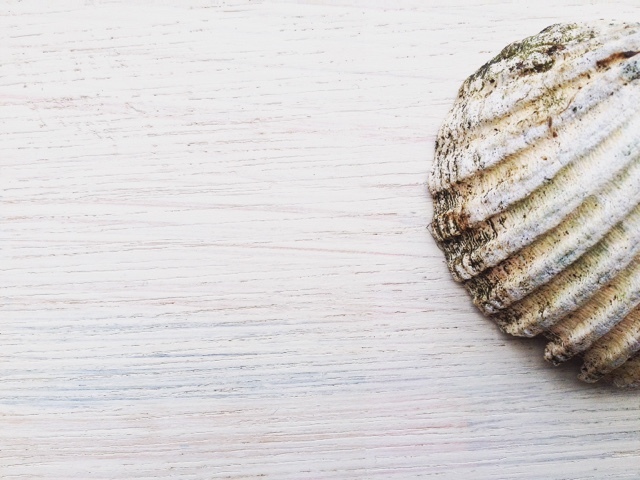 I also re-found this rather weathered shell in the flower bed, originally a Suffolk find. 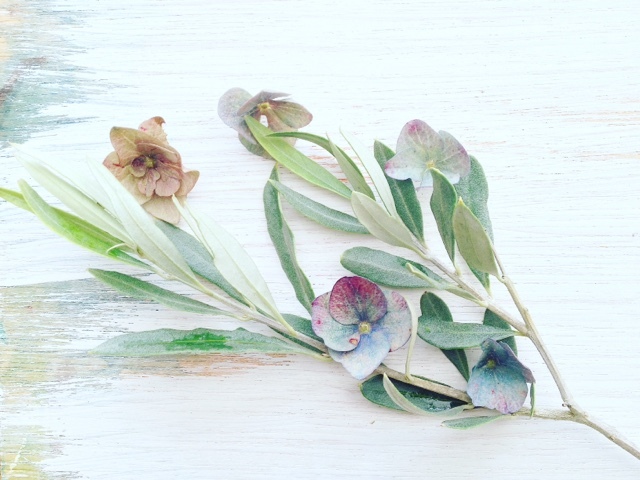 I just love the mix of cool colours and the form of the olive branch. 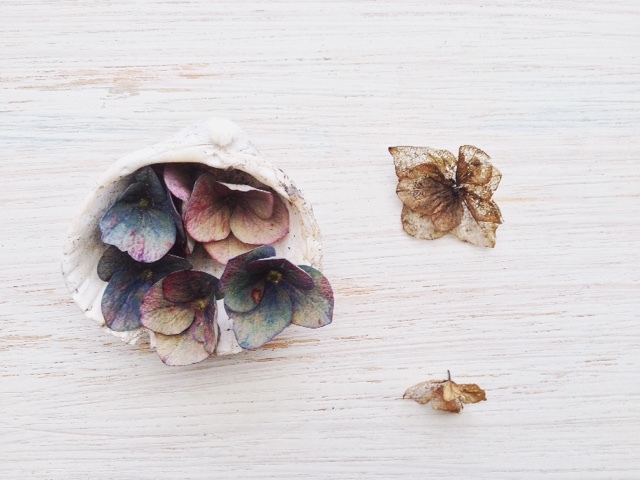 I think flat lay photography is a beautiful way to explore textures and really study your subject in great detail. A huge thank you to Katy and Charlotte for hosting this lovely community each month in which everyone is welcome to take part. 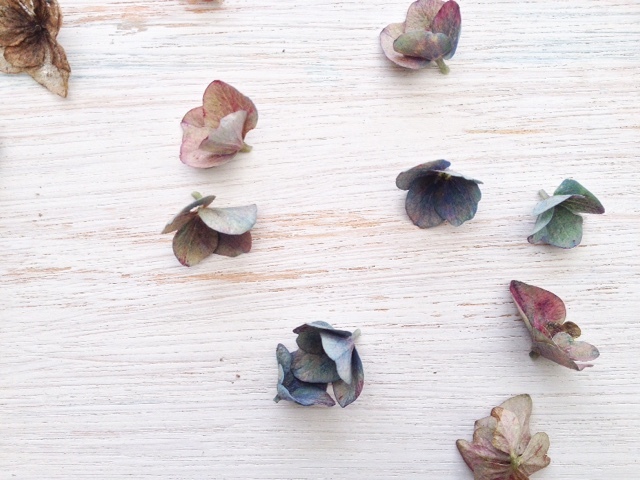 These faded hydrangeas look beautiful and the distressed paint background really sets them off.